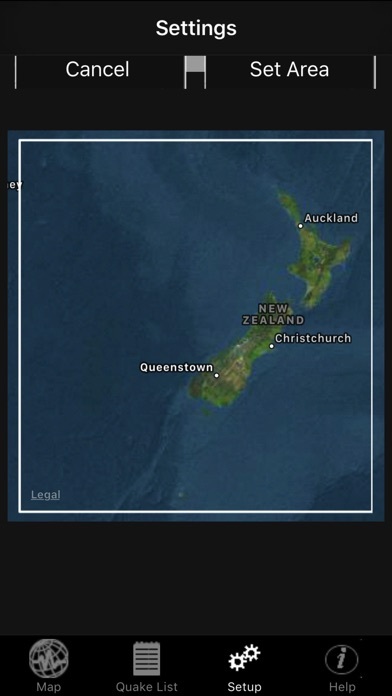 iQuakeMini is the best worldwide Quake monitor on iTunes. It allows notications to be fine tuned to alert you to only a specific region as well as a specific magnitude range. Notifications can also be set to off for specific times like at work or when sleeping. You can dig into as much info as you like about any quake with a single tap from the US Geological Service. It has worked flawlessly for me. I recommend this to anyone interested in earthquakes around the world. 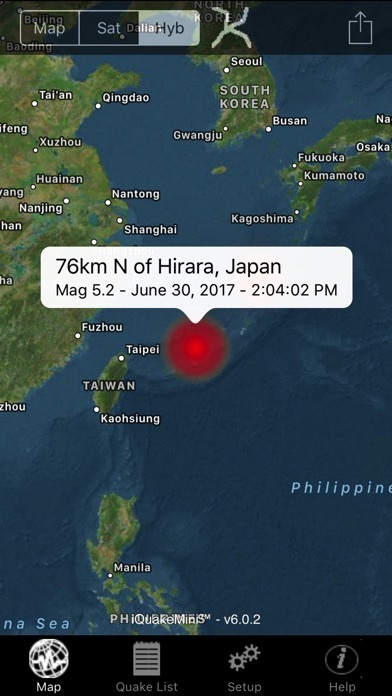 Living in a non-quake region of the world, I had no idea the earth was shaking this much! When the free version failed to operate with the new iPad update, I bought the new version right away. Paid money for an AP that will not load! If you like being ripped off by a non functional AP then this is the AP for you. I live in the Midwest but I'm concerned about the Earth and forces being placed upon it and the people living in those areas. I check this app every day and even though I live in IL, we have a rather large fault line of our own to watch. Also, as a retired Land Surveyor, I'm concerned about being in the flood area if a Midwest quake opens a fault line large enough to cause the Great Lakes to drain to the south. Being at the low end of that much water makes me looking for higher ground. I'm a big fan of your Plates tab too; Quakes and Plates are definitely related. UPDATE: Emergency Management Must Not! UPDATE: Apple Maps has destroyed this once beautiful 5 Star app. You can no longer view the entire earth in full zoom out, the colors in Sat View are washed out and in full zoom shows a patchwork of stitched images that are obviously from different providers, time periods, and different resolutions. This app can no longer be considered usable in a professional environment. ...................................................................................................... 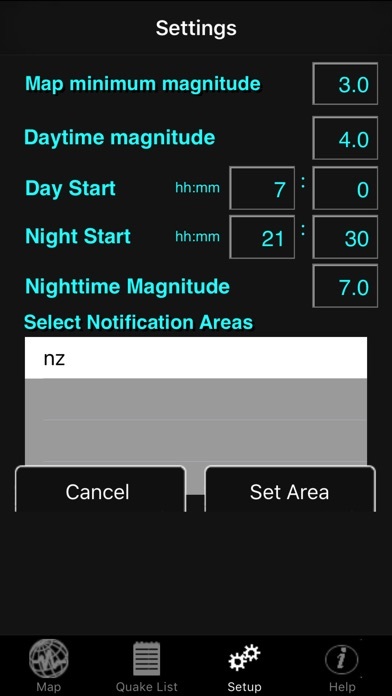 I have been using iQuake Mini HD for over a year now on both the iPhone and iPad and find it to be my go to mobile app for siesmic event information. As a professional emergency manager in the heart of "California Earthquake Country" I appreciate the clean interface, and ability to create "push" notification zones with size and time constraints. The app is very professional and provides real time situational awareness. This is the app that I exhibit on the big screen during EOC activations and exercises. The graphics at the micro level are pretty routine with boxes identifying richter numbers at the epicenter. But pull back to the macro level and the red, orange and yellow heatmap circles filling the map view create a powerful image that draws people to explore and drill down on seismic events around the world. This is a must have mobile app for Emergency Managers, especially those that have responsibilities within seismically active jurisdictions. Five Stars! Crashes. Don't waste you money.